Trademarks are registered by the government patent and trademark agency in each country. In order to avoid refusal of registration from the Office, it is important to make sure that the trademark does not belong to another entrepreneur. 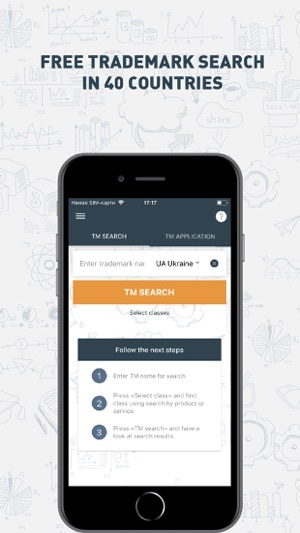 Patent agency Profitmark has developed a mobile application IdeaBox, which will allow to conduct a free trademark search in 40 countries, as well as send application materials to Profitmark online for further filing to the patent and trademark government agency of Ukraine. After receiving the application materials, the data is transferred to the patent office of Ukraine for examination and registration. The mobile application IdeaBox is developed by the patent agency Profitmark, which has been practicing in the field of intellectual property for more than 10 years. With the help of Profitmark, thousands of entrepreneurs were able to check the trademarks and submit online applications materials on the websites: profitmark.ua and profitmark.net. The IdeaBox application is a support tool for working with Profitmark clients, who prefer to work with mobile devices. 1.4.10 Recommendations for search results. Minor fixes.